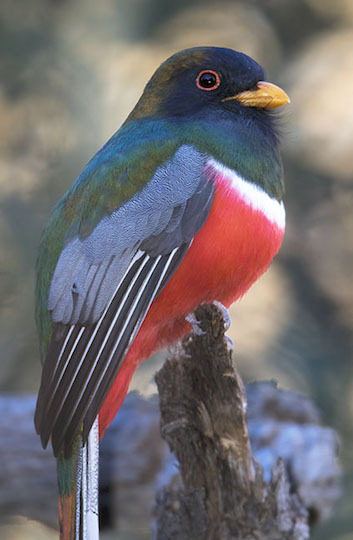 Trogons are birds of tropical Central and South America, and only one -- the striking and well-named elegant trogon -- is a regular breeder in the US. 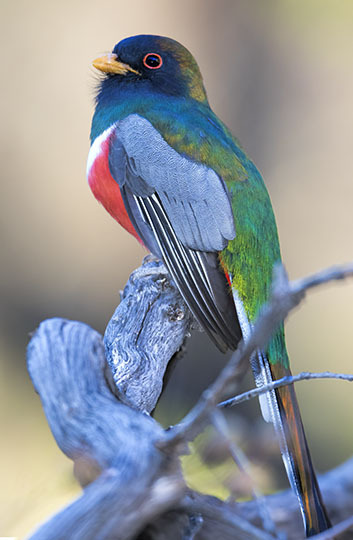 Every year perhaps 50-100 pairs migrate from Mexico to mountain canyons in southeastern Arizona. 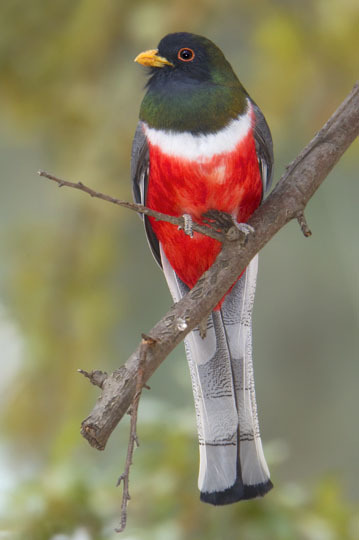 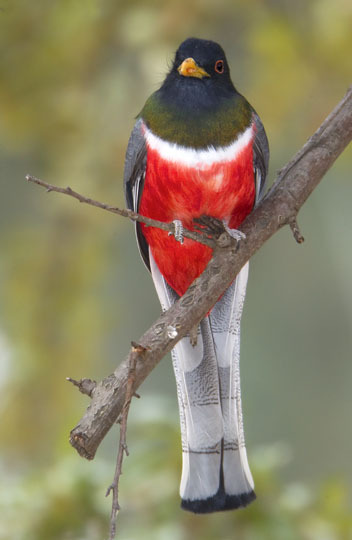 Elegant trogons are iconic symbols of the exceptional diversity of these 'sky islands.' 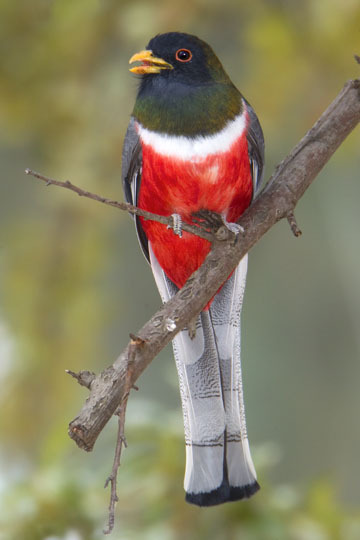 Trogons are fruit and insect feeders, and although they are fast fliers, they frequently perch quietly on branches while intently scanning their surroundings for food. 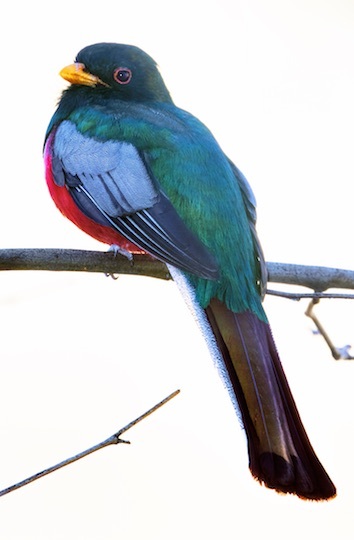 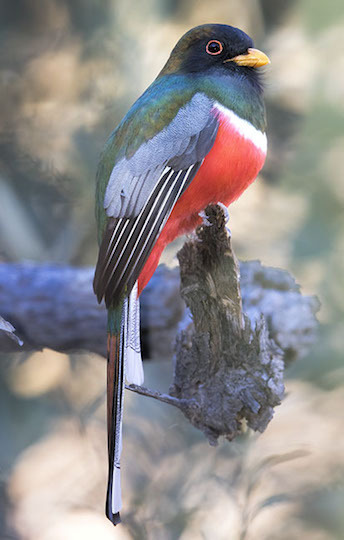 I took these photos in a classic location for elegant trogons: Madera Canyon and nearby Florida Canyon in the Santa Rita Mountains, near Tucson. 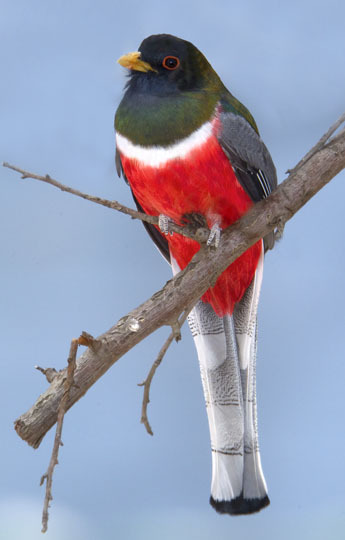 These individuals, both males, were wintering. 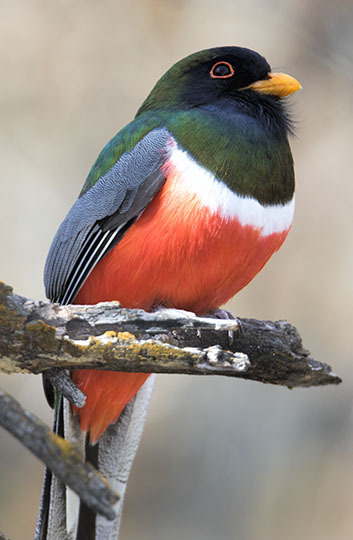 One was feeding at a pyracantha bush (what looks like blue sky in one image is in fact the out-of-focus blue siding on a Madera Canyon house).